LAHAN, Nov 15: Growing number of diabetic patients are losing their eyesight due to higher level of sugar. Doctors claim that lack of awareness about diabetes, among other health issues, has been one of the major reasons due to which diabetic patients are losing their eyesight. They claim that the ailment, referred to as diabetic retinopathy, is getting common among diabetic patients. Eye specialist Dr Puja Rai Gautam states that retina of an eye is among the sensitive areas of body where high level of sugar can easily harm. In initial stages, the retina gets swollen and then if not treat on time, the retina could get damaged. “When retina starts to swell, the patient should seek medical treatment. If ignored and higher level of sugar persists in the body, retina starts bleeding,” she said adding that due to lack of awareness about the illness and its symptoms many diabetic patients loose eyesight. 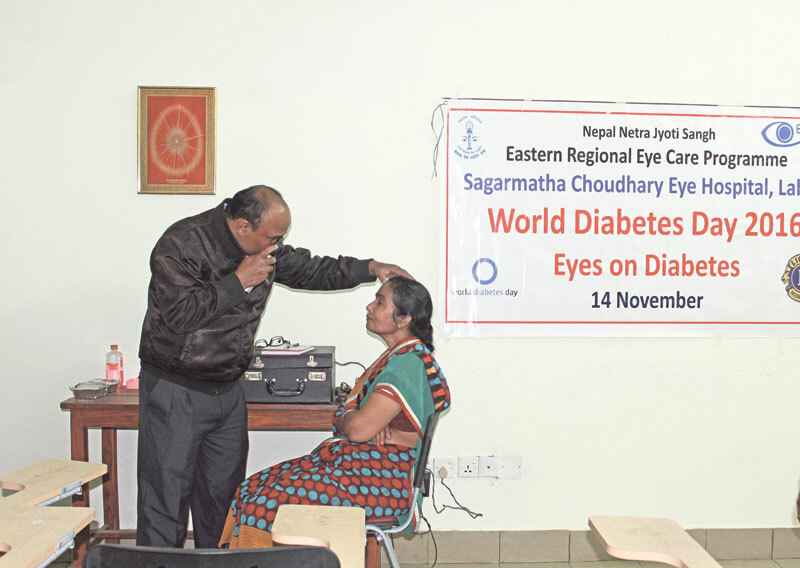 Dr Gautam was speaking at an eye camp organized at the Sagarmatha Chaudhary Eye Hospital (SCEH), Lahan on Monday to mark World Diabetes Day as part of the worldwide ‘vision 20 / 20’ eye care campaign. According to her, sedentary lifestyle and consumption of unhealthy, packaged food are some of major factors behind health problems. “When you are suffering from higher level of sugar, and you don’t seek treatment on time, you are likely to develop problem with eyesight,” she said while counselling a group of patients. She added that people suffering from higher level of sugar are more prone to have eye-related problems. Abhishek Roshan, manager at the SCEH, informed that diabetic retinopathy is fifth among the reasons of blindness in the world. “If intervened on time, eyesight could be fully recovered through laser therapy. However, if patients fail to seek medical help on time, they might lose their eyesight,” he said adding that even in developed countries across the world, where people are relatively better informed about the disease, diabetic retinopathy prevails. According to the data of World Diabetes Organization, 382 million people in the world suffer from diabetes. Doctors suggest diabetic patients to have eye check up in every three months. “Most of the patients do not go for checkup unless the suffering does not become acute. 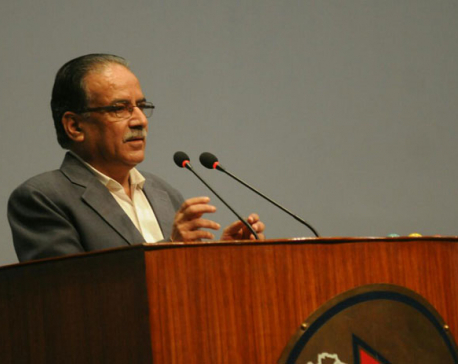 Because of this tendency numbers of diabetic patients losing eyesight to diabetic retinopathy across the country are increasing day by day,” he said. He informed that 315 of the 2151 eye patients that sought treatment at the hospital were suffering from diabetic retinopathy. And added most of them were not aware of being diabetic.